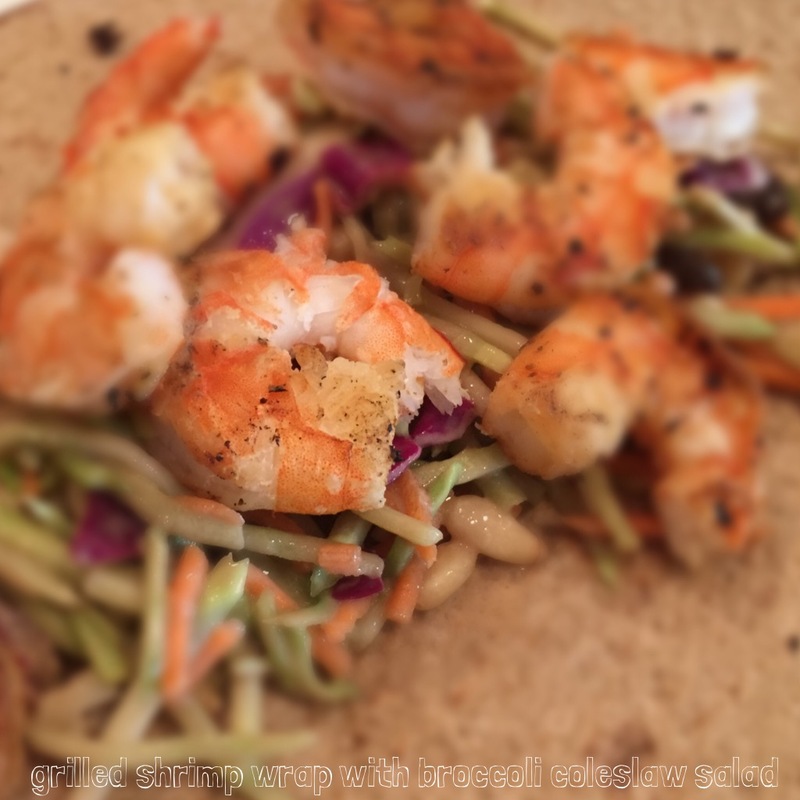 During my grocery shopping last weekend I picked up a bag of shredded broccoli/cabbage/carrot blend with this vision of grilled shrimp tacos and a crunchy flavorful slaw to top it off —- problem was — I didn’t get anything else to actually make the slaw! So I did what anyone else would do and I started browsing Pinterest! 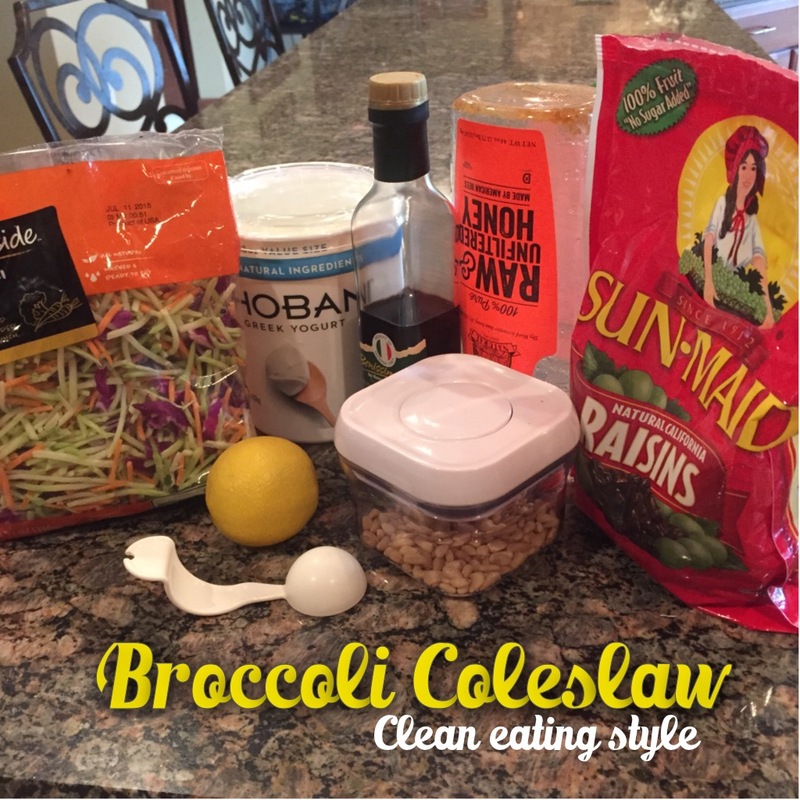 Problem was I was always missing an ingredient or 2 from all of the ones I found and I wanted to make sure this was CLEAN and preferably 21-day fix approved – so I just made one up! Serve alone as a side or as a topping for some fish & shrimp tacos or grilled chicken wraps! I am happy to say I got two thumbs up from my hubby!!! I think going forward I would add some sliced avocado and perhaps some jalopenos for a little kick and go with the raisins vs. the craisins. But all in all – it was a hit and the leftovers were even better!! !